The paper and towel tissue industry was changing. Wausau Paper needed to top-grade their sales team if they were going to keep up and surpass the competition. 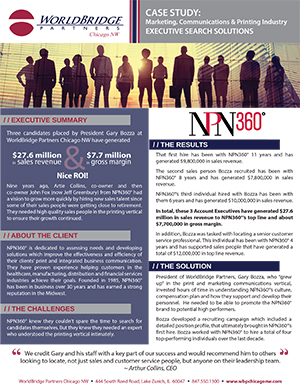 With the understanding that transactional sales people were no longer going to produce the results needed to reach their projected goals, Wausau hired WorldBridge Partners, Chicago NW to help create and facilitate this change. Within a 3½ year period, WorldBridge recruiters were instrumental in helping define the profile of a “successful new hire” and assisted in to revolutionize the culture of the “new consultative” Wausau sales team. With nearly 115 years of experience, Wausau Paper was a leading producer of superior, environmentally preferred towel, tissue, soap and dispensing products for the away-from-home market. The company began as a family owned, organically grown business whose mission was delivering high-quality products and customer service, and the desire to embrace the evolution of green technology. 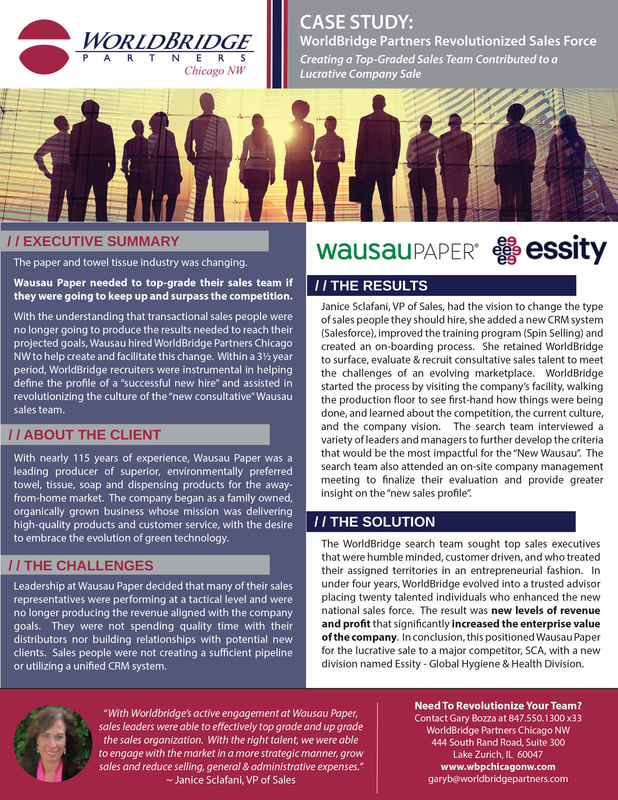 Leadership at Wausau Paper decided that many of their sales representatives were performing at a tactical level and were no longer producing the revenue aligned with the company goals. They were not spending quality time with their distributors nor building relationships with potential new clients. Sales people were not creating a sufficient pipeline or utilizing a unified CRM system. 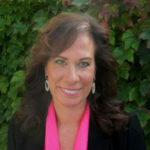 Janice Sclafani, VP of Sales, had the vision to change the type of sales people they should hire, she added a new CRM system (Salesforce), and improved the training program (Spin Selling) and created an on-boarding process. She retained WorldBridge Partners to surface, evaluate & recruit consultative sales talent to meet the challenges of an evolving marketplace. WorldBridge started the process by visiting the company’s facility, walking the production floor to see first-hand how things were being done, and learned about the competition, the current culture, and the company vision. They interviewed a variety of leaders and managers to further develop the criteria that would be the most impactful for the “New Wausau”. The search team also attended an on-site company management meeting to finalize their evaluation and provide greater insight on the “new sales profile”. The WorldBridge search team sought top sales executives that were humble minded, customer driven, and who treated their assigned territories in an entrepreneurial fashion. In under four years, WorldBridge evolved into a trusted advisor placing twenty talented individuals who enhanced the new national sales force. The result was new levels of revenue and profit that significantly increased the enterprise value of the company. In conclusion, this positioned Wausau Paper for the lucrative sale to a major competitor, SCA, with a new division named Essity – Global Hygiene & Health Division. Do you need to revolutionize your team? Click here to contact Gary Bozza and learn about The WorldBridge Way.